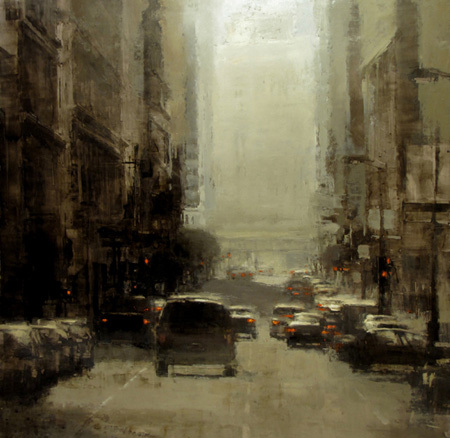 Jeremy Mann breaks his work up into three categories on his site: “Traditional work”, “Personal Work”, and “Compositions”. The vast quantity of paintings found in these categories didn’t make it as hard to find a representative image as did the vast quality. It’s safe to say Mr. Mann is a fantastically talented artist. Yvette Coppersmith is primarily a portrait artist, which she reveals to be an incredibly wide-open field for exploration of ideas and techniques. 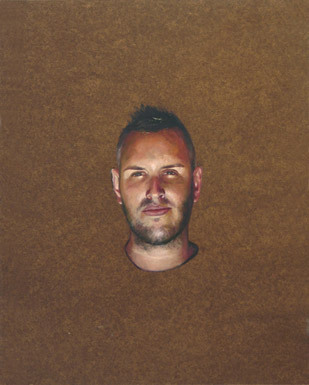 In particular, I find myself drawn to the disembodied paintings of heads that float on the exposed surface of her masonite canvas. The lack of body or painted background both focuses attention on the portrait, and creates a new perspective from which to experience the image. I’m enjoying the way Zoë Pawlak approaches landscape. 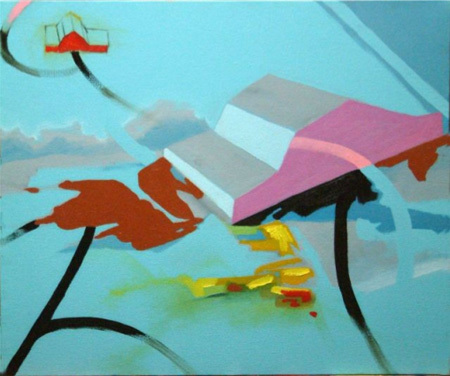 Her focus on colour and abstract shape creates an immediately recognizable sense of place without representing any one place in particular. Very cool. Ok, they may not be ‘paintings’ by a strict definition, but I’m bending the rules for Chris Roberts-Antieau. 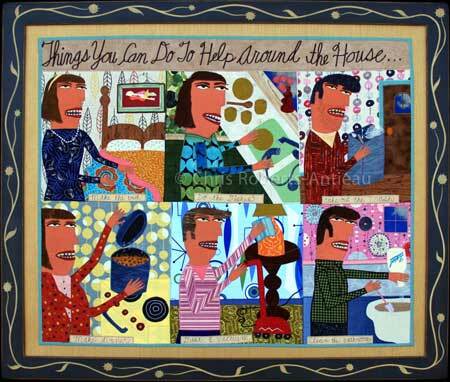 Her ‘fabric paintings’ demonstrate a level of fun that I didn’t think was allowed in adulthood, and her slightly Lynda Barry-esque imagery is full of brilliant detail. Enjoy! 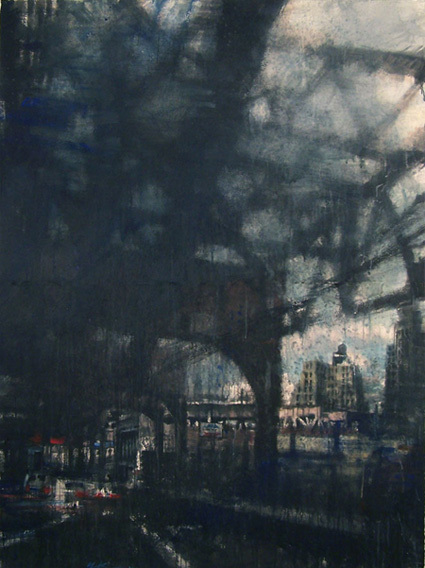 I stumbled across a painting of Greg Rook’s while checking out the LondonPainting blog, and decided I needed to see more. 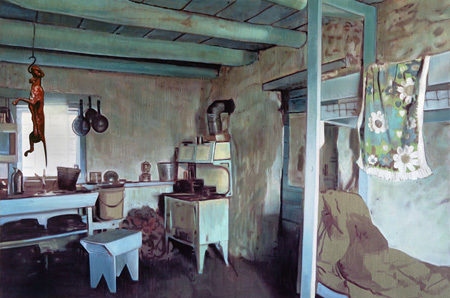 What I found was a depiction of the American frontier that was simultaneously appealing and disquieting, beautifully rendered yet intentionally drawing attention to the artifice of painting. 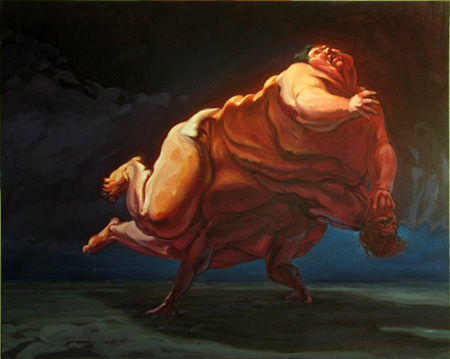 What I found was a collection of amazing paintings. Today’s post is dedicated to all the coffee addicts out there. 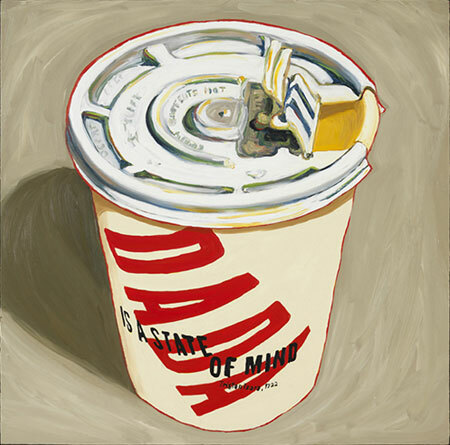 Susan Jane Belton has a great series of paintings up on her site inspired by the many many many brands of coffee that find their way into her studio. Enjoy! 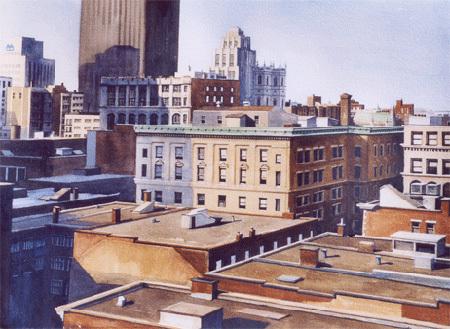 She has a far greater number of oil paintings on her site, but to resurrect my “this is not a theme week” method of posting I’ve decided to use one of Laurie Campbell’s watercolours to illustrate her incredible talent at depicting everyday life and modern architecture. I feel as though I don’t pay enough attention to watercolour as medium, considering all that it is capable of. For example, the large-scale architecture watercolours by Paul Ching-Bor are some of the most beautiful and impressive paintings I’ve come across in a long time. Be sure to check out the large image files available for viewing on his site. 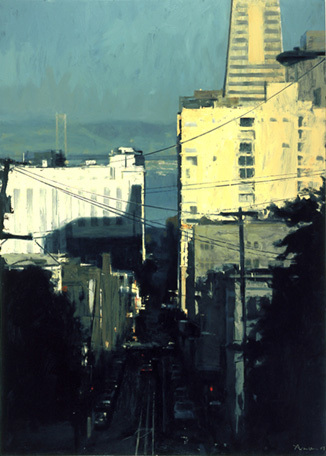 Ben Aronson’s cityscapes seem to capture the past and present in one shot, and I love them for that.